SkyCity CIO Mike Clarke is stepping down after seven years, and is joining the IT Advisory Group at KPMG. Clarke will stay with SkyCity until December, but the search for his successor has started. 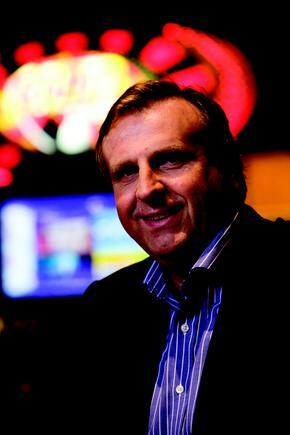 The CIO role at SkyCity is one of the biggest and most strategic in New Zealand. The entertainment group operates in Auckland, Hamilton, Queenstown, Darwin and Adelaide. Each property is different, said Clarke. The Adelaide business is a casino with a massive valet car park. In Auckland there are two hotels, a casino, a convention centre and a carpark. Clarke says the CIO is a member of the executive team. Clarke heads a team of 85 staff locally and 19 across the Tasman, according to the 2015 CIO100, the annual report on the top ICT using organisations in New Zealand. The SkyCity ICT team supports 7719 screens, including 2852 overseas. Clarke has worked across the spectrum of ICT - as vendor, consultant and customer. His previous roles include managing partner with SPR Consulting, managing director for 3Com Australia and New Zealand, and Asia Pacific director, marketing and channel sales for Lotus IBM. He says it is an interesting time for ICT as digitalisation will see organisations undergo a real transition in the next two to three years. He says he had great support from the CEO and executive colleagues as SkyCity prepared for this transition. As well, he is keen to help other organisations going through this change. “It is a different pace for different businesses and even for government,” he says. Banks are further along the way to a digital path than other organisations. “Digital is not separate, it is across businesses,” he stresses. Clarke has shared insights on the evolution of the CIO role and on trends in business technologies in various interviews with CIO New Zealand. There isn’t a blueprint for being a CIO, he said at the 2010 MIS100 (now CIO100 event). CIOs, more than any other chief officer position, are faced with hugely conflicting objectives, he said. CIOs are asked to reduce cost and at the same time attract and retain staff. They are asked to deliver more on reducing budgets. They are expected to be at the forefront and managing risks at the same time. The secret to dealing with those objectives, and to successfully deliver what the business demands, is in a combination of leadership, structure and culture, he stated. CIOs need to be both the leaders that inspire people to do what they normally wouldn’t and the managers that deliver structure. If you are a stronger leader than manager, make sure you have people around you who are solid managers, and vice versa, he says. 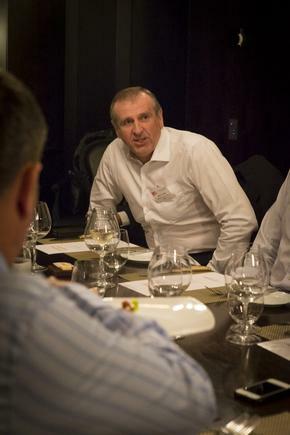 In another CIO event, he talked about the imperative of being a customer-focused CIO. “Our job is to make sure customer experience happens as smoothly as possible and [they do] not notice the technology behind it,” said Clarke. He said SkyCity is a multifaceted trans-Tasman business and users interact with their systems each time they book a room, use a car park or go to the gaming table. Being a 24-hour, seven days-a-week operation brings enormous challenges, said Clarke. SkyCity hotels operate year round, though the casinos are shut on Good Friday. "That is counterintuitive to most businesses that operate, nine to five," he said. "And of course, Saturday night and New Year's Eve, are critical times for us." Clarke used the analogy of a Formula One racing car. "It is a bit like trying to change the wheels of a car that is moving," he said of implementing IT changes in such an environment. "We can accept no downtime, no outage, but we need this change and it has to be right." On the day of the interview, members of his team were implementing an upgrade on one of the games at the casino. The team had to do tests and switch to the new programme without the other casino staff and customers noticing. This operation, is a "great example of absolute precision". "This is real-time, there is still trading, and of course the guys have to get the machine up and running as quickly as possible with business as usual." Like a heart bypass operation? He nodded. "You put in the bypass, and you make the change and you take the bypass away. It is double stepping, so change takes longer and [requires] more thought." So how do they do it? "Stealth," he said, with a laugh. "We have to make sure we are very clear on exactly what that would do in a mission-critical world." He had said: "The trick of the CIO, and the hardest one I find, is that you have got to be far ahead in front of the business so you can respond quickly. But you can not be too far ahead of the business in like a field of dreams world, building fancy things. Otherwise, you get criticised for wasting money and not being there."